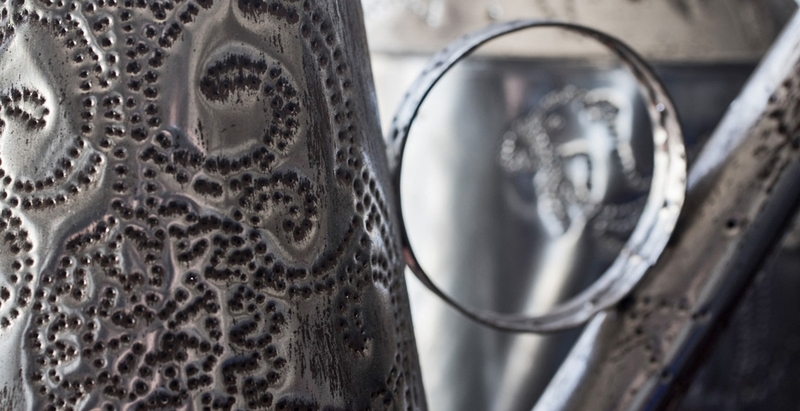 José Vieira, an artisan from the Portuguese city of São Torcato, owns a tinsmithing workshop in Guimarães and makes everything by hand, working with galvanised tin, copper and brass. He grew up in a family with a long tradition of manufacturing tin products, mostly for agriculture and rural purposes. It was his grandfather and his father who introduced young José to the art of tinsmithing. Though following in the footsteps of his ancestors, José has developed a more modern production of goods for daily use, with a focus on shape and functionality. The project developed with designer Christian Haas goes in this direction. The three tables called Pleat, all in polished brass, demanded exceptional mastery of bending and welding.